Would you post as much or at all on Instagram or Snapchat if no one could click like or if views went unreported or if no one could share or repost your post? “NO WAY,” was the immediate and resounding response when I asked groups of 15 year olds these questions. So, I ask you, Mark Zuckerberg, Evan Spiegel and Jack Dorsey: Give us the option to turn off likes/shares/views. Build this into each app’s settings. Do it now. If social media executives limit their own kids’ usage of their addictive creations, then why not enable the rest of us? You have the ability to give us back control over our self-esteem and relieve us of the endless stream of harmful alerts that ping our devices incessantly. Let’s question how we use and how we are affected by the likes and views of our posts. Clearly, we need to heed the warnings of a recent report, summarized in The Washington Post. “It … found that adolescents’ psychological well-being decreased the more hours a week they spent on screens, including with the Internet, social media, texting, gaming and video chats. 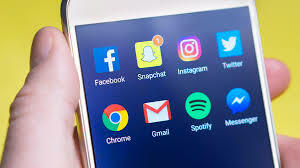 The findings align with earlier studies linking frequent screen use to teenage depression and anxiety.” 14 – 16 year olds who spend more time on social media report that they less happy and more anxious. And, teenagers who spent more time on homework reported higher levels of happiness! We’ve heard the plea for Apple to add features that help us limit our own or our children’s screen time. Sure, time moderation will help. However, whether it is 5 minutes or 5 hours, our social media streams will continue to fuel our psyche. Likes/shares/views are the cocaine lacing our posts. The only option: Go cold turkey. We can’t do it on our own. We will continue to seek validation from our friends and followers. “On Facebook, Instagram and Twitter, I get 500 to 1,000 likes on each picture … It makes me feel really good about myself!” Dr. Phil’s interview with Khloe showcases the scourge of social media. Many users track reactions to their posts with metrics that are as clever as those used to drive the apps’ business. The number of likes that appear within minutes of the post is a popular indicator of popularity. Without that data, the satisfaction of shooting up another post might die. Our interest might wane. And, naturally, our emotional health will improve. We will rediscover communicating by talking to each other, perhaps even in person. If I really want you to see my photos, I’ll send them to you. If I want to share an inspirational quote with you, I’ll send it or even call you and speak it. Narcissism is on the rise. Mark Zuckerberg, Evan Spiegel and Jack Dorsey, you have the ability to curb the epidemic that is affecting our values and our culture, not to mention the productivity and efficiency you hold paramount. If a tree falls in the forest, does anyone know? Is anyone affected? Albert Einstein questioned whether the moon still exists if no one is looking at it. We know the answers. Our posts will still exist, and our self-perception will be in the forefront. Just as you social media giants drew us into this addiction, you can curb it. Do you think your shareholders would settle for somewhat slower growth if it’s in the best interest of their kids too? Shari J Stein is the founder of the DIG Program for Digital Individual Governance, which she developed and optimized for high school students to have safe, smart and healthy online experiences. A career educator as a teacher and head librarian for the past 31 years, Shari is an expert in digital content management and social media usage.